My mate Ali and I have been friends for 18 years. So you can imagine how chuffed I was when she welcomed her beautiful baby girl Piper into the world… seems like just yesterday. Well, it wasn’t yesterday — a couple weeks ago Piper celebrated her first birthday. And in fine style — mum baked an angel cake and everything! (Literally a cake decorated to look like an angel, not an angel food cake…). The main fabric is Chicks by Kokka Fabrics. 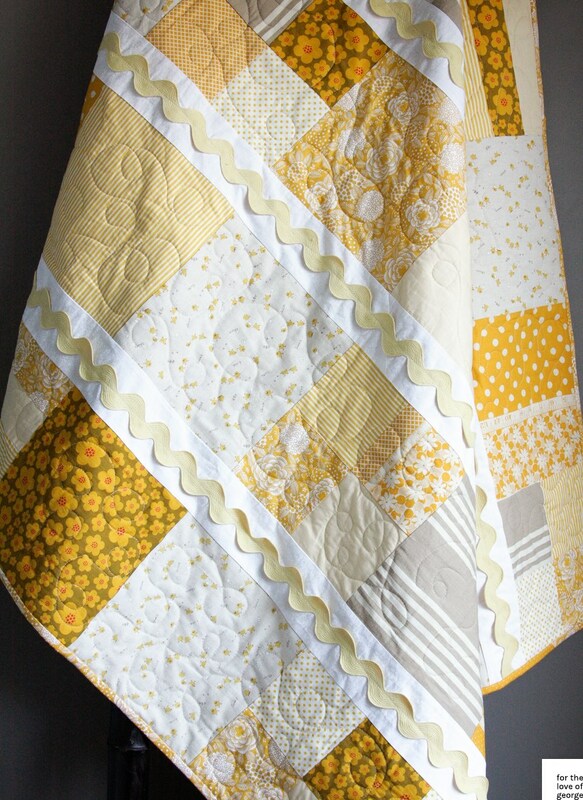 This entry was posted by Lauren (blog author) in Kids, Quilting and tagged chickens, linen, mustard, neutral, popular, quilt, ric-rac, yellow. 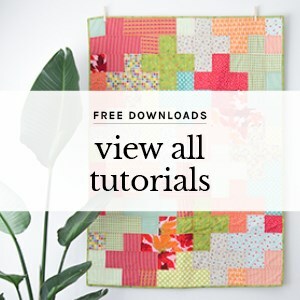 Do you a tutorial or pattern for this pretty yellow quilt? Rats!! Any chance she’ll send you a picture of it lying flat?